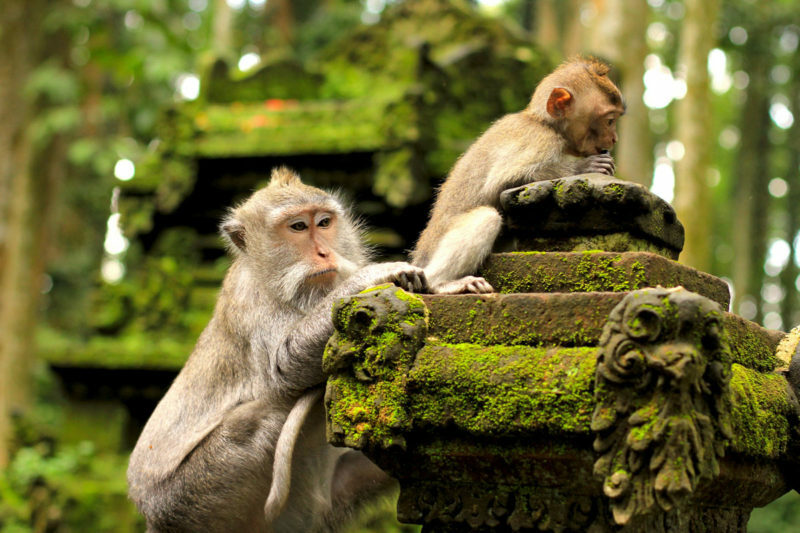 The Ubud Monkey Forest is a nature reserve and Hindu temple complex in Ubud, Bali, Indonesia. Its official name is the Sacred Monkey Forest Sanctuary (Balinese Mandala Suci Wenara Wana), and its name as written on its welcome sign is the Padangtegal Mandala Wisata Wanara Wana Sacred Monkey Forest Sanctuary.The Monkey Forest lies within the village of Padangtegal, which owns it. The village’s residents view the Monkey Forest as an important spiritual, economic, educational, and conservation center for the village. Its about 15 minutes drive from alam Ubud Villa.